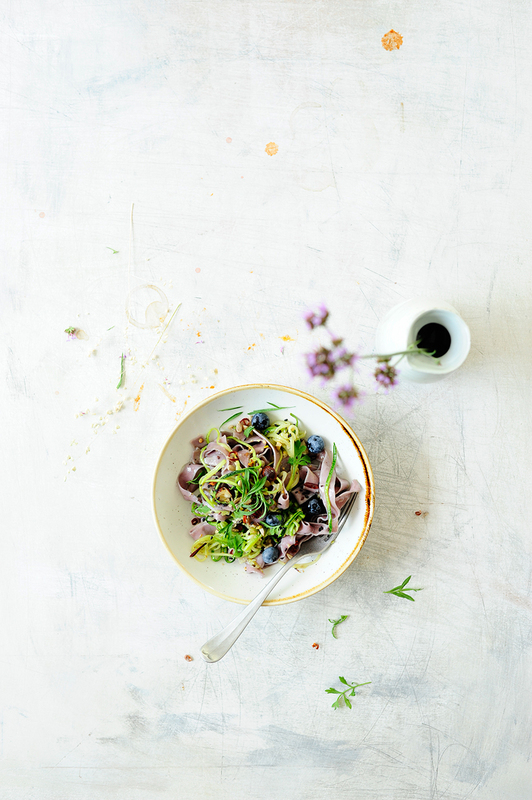 Blueberry tagliatelle with zucchini, lots of garlic, butter sauce and crispy roasted nuts. A very simple and fast dish, light but filling. 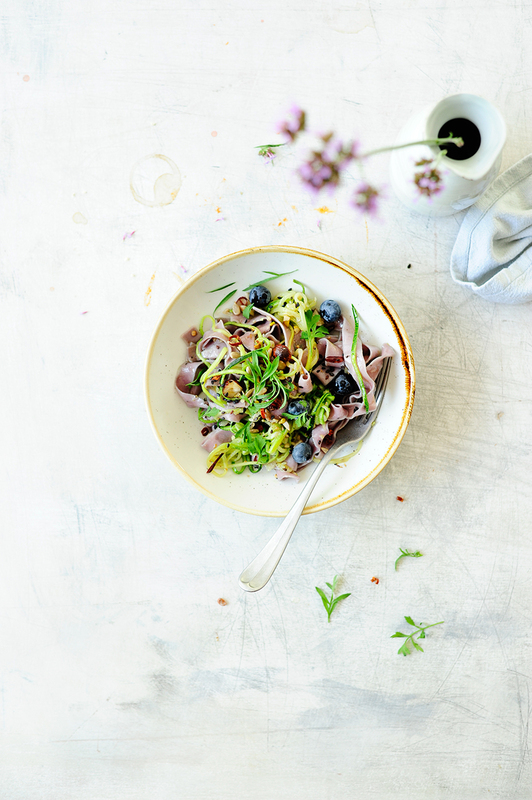 Blueberry pasta is amazingly surprising, it has a very mild specific taste of blueberries that adds an unique flavor and color to the dish. I ‘m a real fan of gastronomy, I love to serve delicious treats, work with fresh produce and serve not so common dishes. I prepare this pasta in my food truck, but maybe you’re intrigued to make this flavor bomb at home. Bring salted water to a boil, add pasta and cook until tender. Reserve 4 tablespoons of cooking water and drain the pasta. Heat the oil in a deep pan, add garlic and cook until tender. Add zucchini and toss for 3 minutes until soft. Season with pepper and a pinch of salt. Add butter, 4 tablespoons of water from the pasta, lemon juice and pasta. Serve immediately sprinkled with dukkah, blueberries and parsley. Enjoy! Blueberry feat zucchini? I’m intrigued. Can’t wait to try it! thanks, it’s so good! happy you like it!